Explosive charges by Qualcomm against Apple were unveiled as the chipmaker accused the iPhone maker of stealing wide swathes of confidential data and trade secrets in order to improve the performance of chips that rival Intel was providing the tech giant. Qualcomm is hoping that the court amends allegations in an existing lawsuit it filed against Apple where it accused the company of breaching its master software agreement Apple signed at the time it first became a Qualcomm customer in 2011. The two tech giants have been battling in both direct as well as indirect litigation across the globe centering on the unwillingness by Apple to have suppliers pay royalties to Qualcomm it called excessive for its iPhone. The filing, which was made late Tuesday night in a San Diego Superior Court, is the latest act in the battle, designed to apply pressure to Apple to make a settlement. 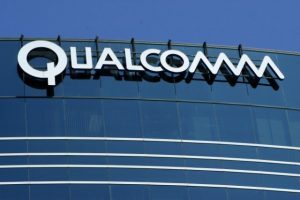 However, the general counsel of Qualcomm said the case would have been filed on its own regardless of the dispute that is already on-going. The attorney added that unlawful use of value trade assets of Qualcomm in an attempt to help another competitor catch up is irreparably harmful and must not be allowed to carry on. The latest charges become part of another lawsuit filed this past November that alleged Apple had been in violation of an agreement it had signed earlier with Qualcomm when it started work to uses chips made by Qualcomm in its iPhone. Apple through that agreement was required to allow Qualcomm to insure on a periodic basis that the tools and source code software it shared with Apple, under the agreement, were appropriately protected. Qualcomm argues that it was prevented from auditing the iPhone maker’s use of the source code and thus it sued. Now it alleges that a much bigger misdeed was committed; stealing of the source code and tools to give to Intel so that chipmaker could overcome flaws in engineering in chips it makes that caused them to misperform in iPhone. In the latest complaint, Qualcomm said it was making the new charges following discovery in its current lawsuit that allowed it to find evidence Apple engineers provided source code repeatedly to engineers at Intel in order for that company to improve performance of its chips.